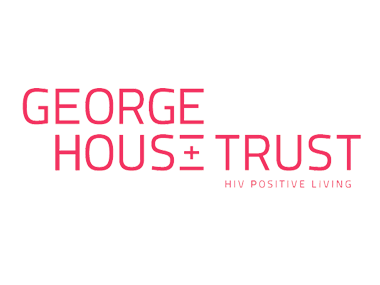 George House Trust is a well-established and vibrant HIV charity that was set up in Manchester in 1985. Their vision is for all people living with HIV in the North West to live happy and healthy lives and to be free from stigma and discrimination. GHT managed all their contacts using various spreadsheets, and wanted a better way of organising their contacts. They were specifically looking for a donor management system to help them define who their contributors were, understand them better and work out which approaches and campaigns worked best. Their search began online when Finance Director, Neal Sharpe, found a number of potential solutions, including CiviCRM, and researched the options over a 16-week period. Neal found that everything commercial systems could do, CiviCRM could do, and where other systems had gaps in their offering CiviCRM didn’t. “Add to this the fact that CiviCRM is community-led and ethically linked, it seemed too good to be true”, he said. Once Neal decided that CiviCRM was the right software, he then had to find a supplier to help implement the database into their organisation. This stage took a further six months as it was important to find a provider he felt comfortable with. During his first meeting with GMCVO Databases, Neal felt that the team understood the organisation and the issues they were facing. The staff gave him confidence that they could help make the implementation as straightforward as possible. GHT launched CiviCRM in April 2013 to manage and communicate with donors and volunteers. They went on to integrate service users with the data management system in April 2014, as well as adding functionality such as SMS messaging and reminders. They have since been inspired by the flexibility and potential of CiviCRM and have added a number of customised services that serve to improve the impact the organisation has on its users. CiviCRM enables GHT to store comprehensive records of suppliers, users, donors, volunteers, staff, supporters, related service providers and service users and facilitates two-way interaction with all these groups. GHT have quickly found opportunities to build on their work and have developed a ‘Referral Pathway’ that enables commissioners and clinics to refer patients in need of support through their website. These referrals are automatically entered into the CiviCRM database and notifications are sent to GHT staff who then follow up referrals as appropriate. “Because of the high level of security of data, commissioners and clinics bought into the process straight away”, says Neal. Another initiative GHT have been able to implement using CiviCRM is their ‘Health and Wellbeing Assessments’. The system automatically emails service users every six months, giving them the opportunity to complete an assessment which GHT staff then use to assess any changes and offer relevant support/referrals if necessary. Neal has seen that as well as helping them manage their donors, the GHT team have been able to standardise their processes, yet at the same time tailor their service to individual users’ needs and improve management of referrals. The wealth of data collected is enabling better decision-making, as well as improving measurement of impact and analysis of incoming referrals. GHT are also benefiting from more effective engagement with stakeholders. The organisation has seen higher response rates with the use of SMS messaging, in particular from service users who are experiencing difficulties and unlikely to respond to other forms of communication, or make proactive contact themselves. Tailored training sessions from GMCVO Databases, and well-attended regional and national CiviCRM community events have enabled Neal and his team to become more knowledgeable about the software. As a result, GHT are more competent and independent regarding development of the solutions they’re using to provide their invaluable services to those affected by HIV in Manchester.